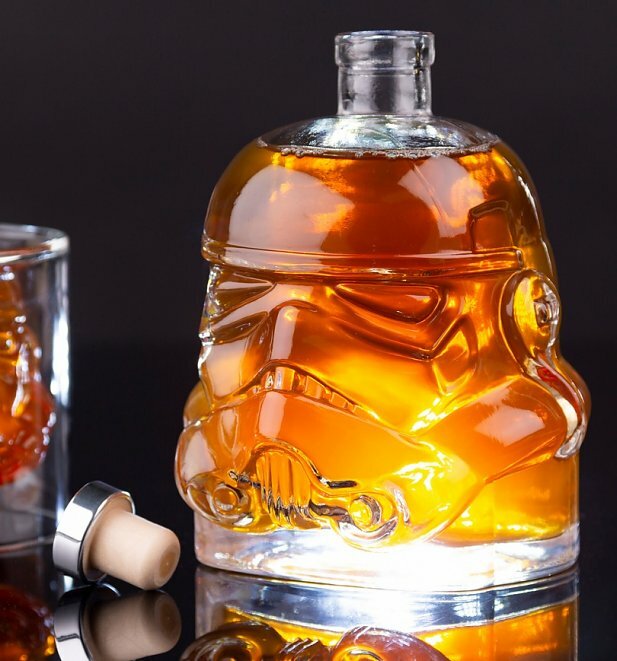 Make their Valentine’s Day and out of this world one with a little help from our mega Star Wars Glass Stormtrooper Decanter! Sure to raise a smile each time they raise a glass. If your fella perfect in every way? Or maybe they just think they are! 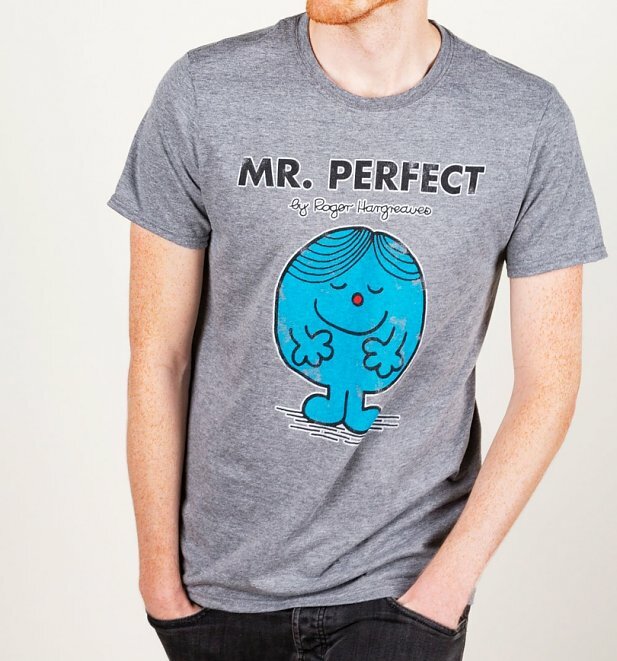 Let them wear their inner Mr Men in style with our exclusive Mr Perfect Mr Men T-Shirt! 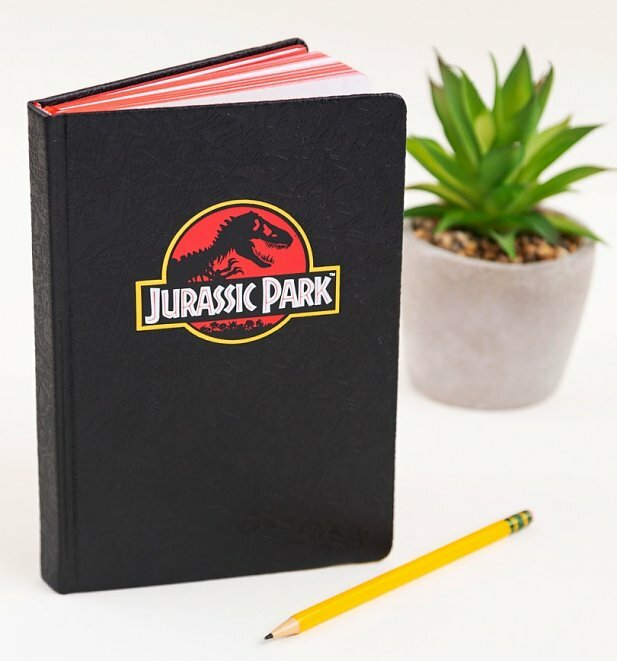 Sure to make a splash at their next meeting or class, add a whole heap of retro appreciation to their day with our Jurassic Park Premium A5 Embossed Notebook. 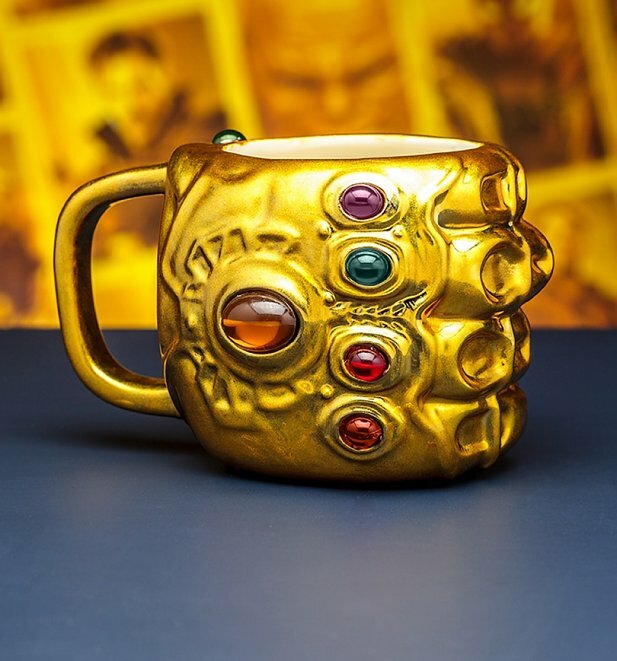 Add a whole punch of cool and power to their next tea break with our mighty Marvel Avengers Infinity War Gauntlet Shaped Mug! Great excuse to re-watch some classic Avengers films again with a cuppa. Let them reveal their hidden (sometimes VERY hidden) superhero credentials with our Batman Logo Lounge Pants. Great for a cosy night in after a day of saving the city. Is your fella a bit of a nerd? That’s going to come in handy! 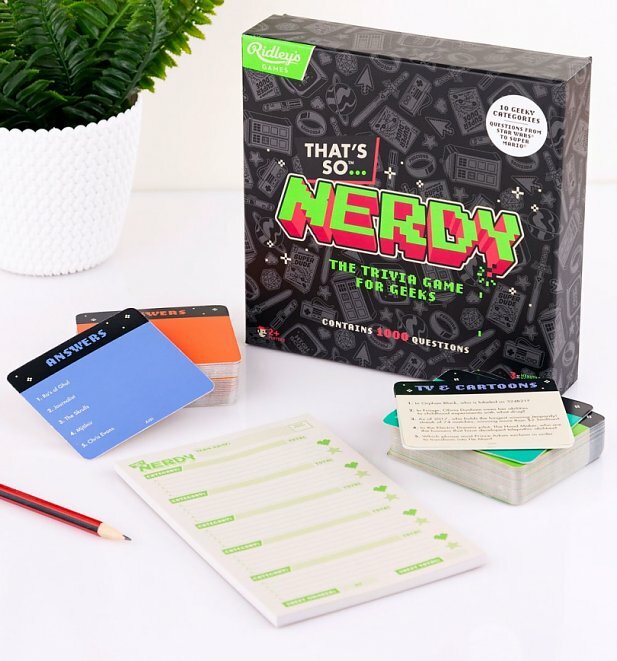 Put their fandom to the test with our That’s So Nerdy Trivia Card Game! 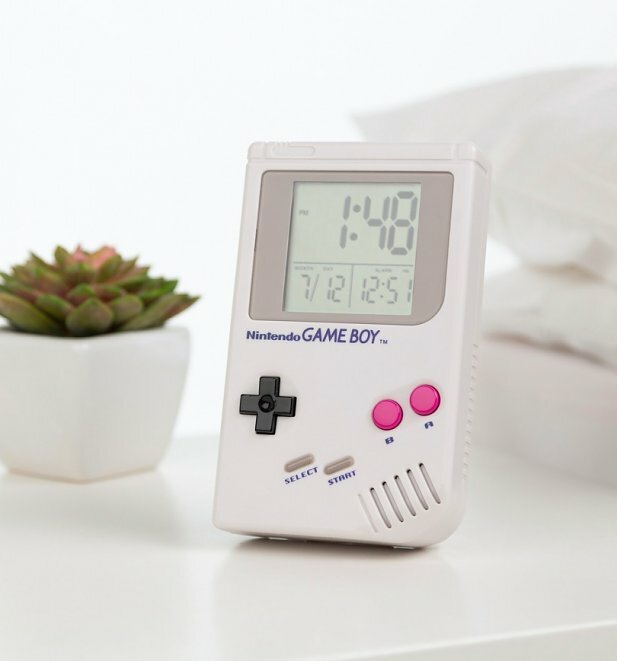 A true timeless gift (pun sort of intended). 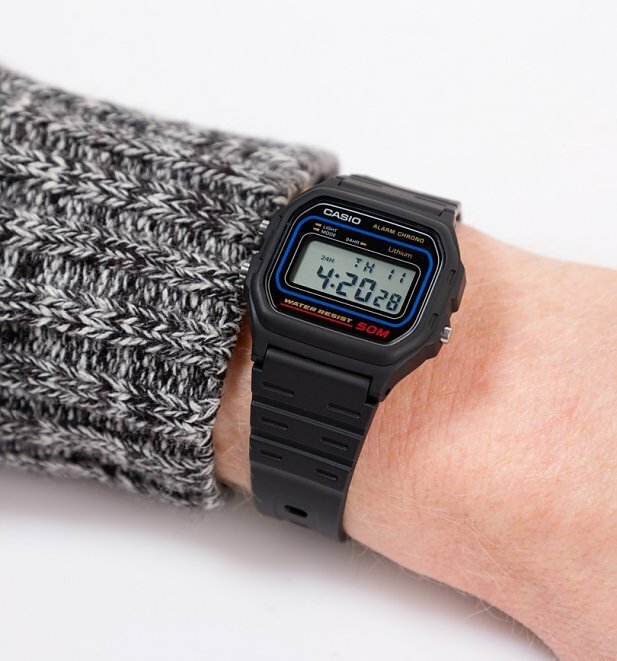 Treat them to one of the greats with our Classic Black Watch W-59-1VQES from Casio! Sure to tick all kinds of boxes! There you have them peeps! Hopefully, this has given you some inspiration for this year and will help make this a truly special day. Good luck! Previous PostPrevious 🎵 Love Is In The Air 🎵 Our Top Valentines Gifts For Her!